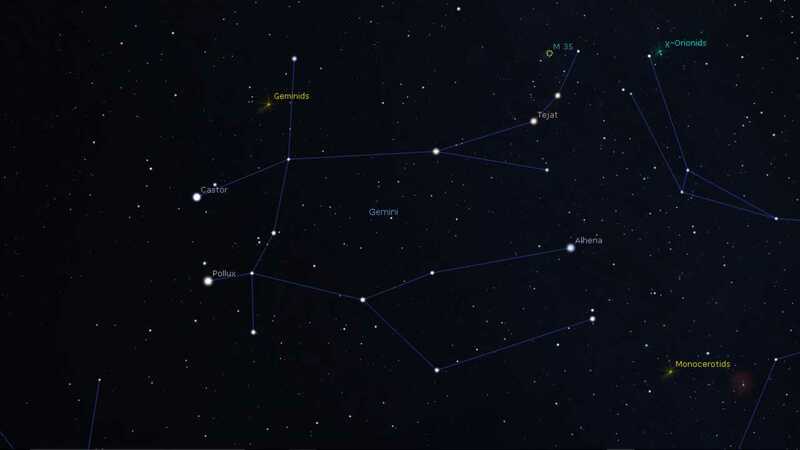 Gemini is known as the Twins and the two stars that represent this are Castor and Pollux; α Gem and β Gem respectively. 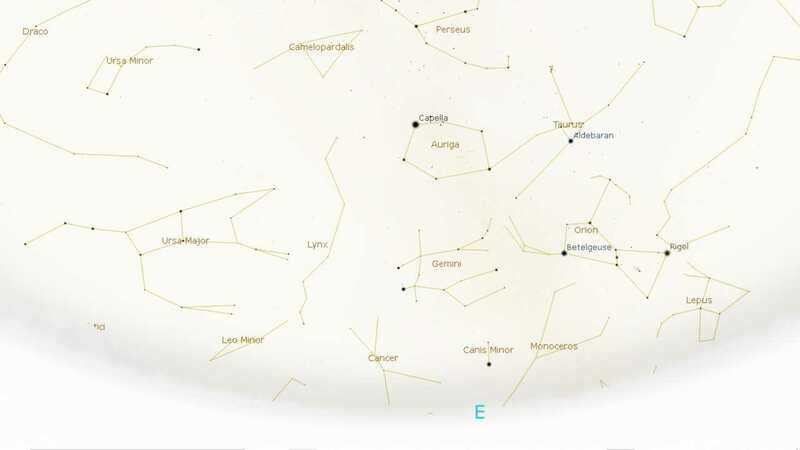 The brighter star is Pollux, β Gem, and as seen from the northern hemisphere is the lower of the two stars. 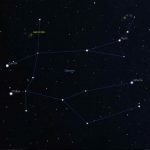 Although dimmer, α Gem, is not to be snubbed as it is a system comprising 6 separate stars. This is as complex as it gets for stable systems. The system is triple with each member being a double. 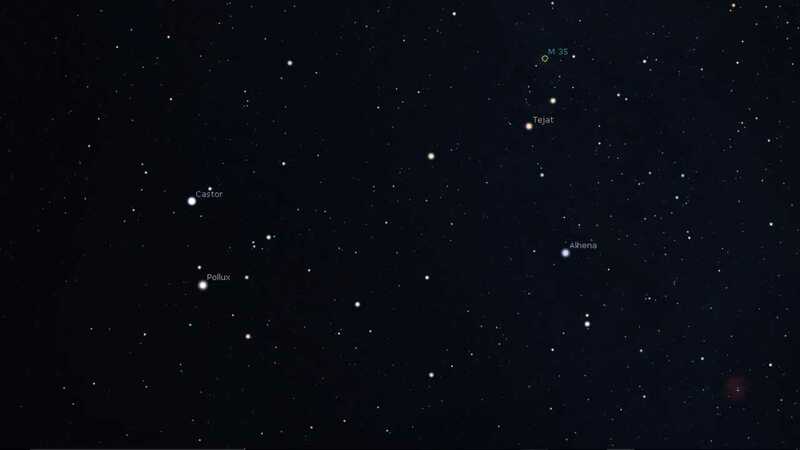 Telescopically you would see what looks like a double star with a separation of 6″(seconds of arc) and a third some 70″ away; the additional components can only be resolved spectroscopically. 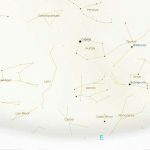 The main Geminid meteor shower each year peaks around 14th December having built up gradually from earlier in the month. It lasts a day or so after peak and the ZHR can reach 100 given a favourable Moon and the peak occurring at night. 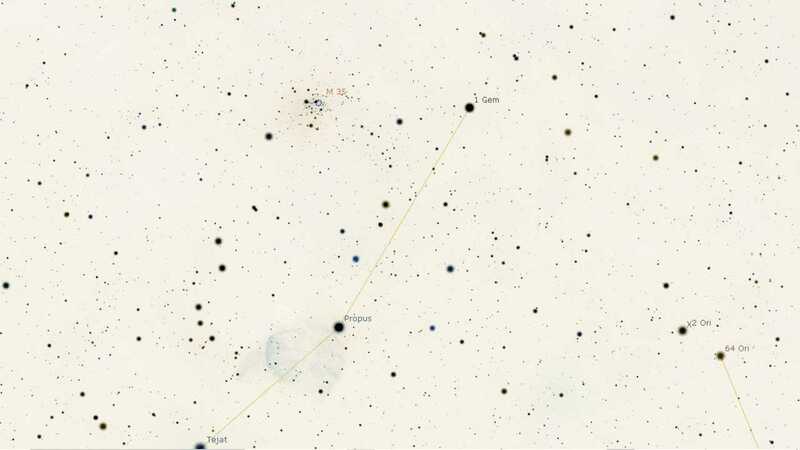 Unlike many other showers, the original body causing the shower is an asteroid rather than a comet, 3200 Phaethon. The shower is known for ‘slower’ meteors and year on year appears to be getting more active. 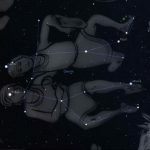 Gemini follows Taurus into the sky each night and sits below Auriga. 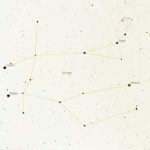 The brightness and proximity of Castor and Pollux make it hard to miss whether locating from Ursa Major or Orion. 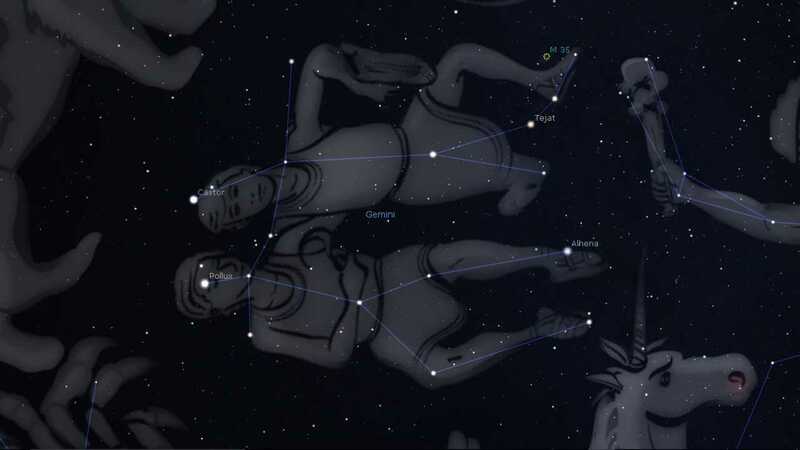 The myth of Castor and Pollux derives from the Greek. They were the children of Leda by different fathers; Castor was the son of Tyndareus, king of Sparta, and Pollux the love child of Zeus. They became Argonauts and as sailors were associated with St. Elmo’s fire. Castor, being mortal, passed away leaving Pollux alone. 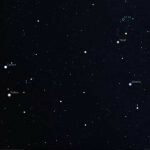 So Pollux begged his father to make Castor immortal and that’s how they came to be together again in the sky. M35 is an open cluster of stars first recorded in 1745 by Philippe Loys de Chéseaux. It is also creditted independently to John Bevis. It is magnitude 5.3 and is spread the width of the Moon i.e. 28′ (minutes of arc). 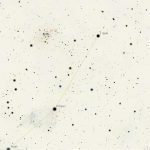 This cluster of stars is about 2800 light years away and has a mass of up to 3200 solar masses. 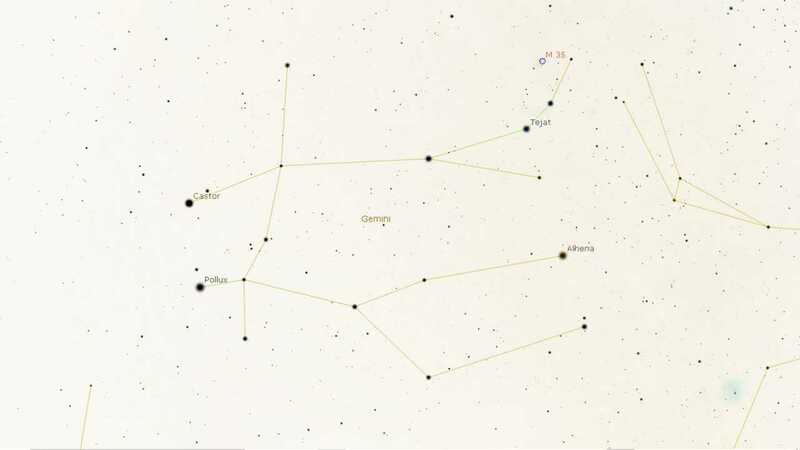 It sits to the west of the constellation near the border with Taurus. NGC2392, the Eskimo Nebula, is a 9th magnitude planetary nebula worth having a look and trying to see the 10th magnitude central star.